his is a 100% managed code library (Nova.CodeDOM.dll) that can be used to load and parse any C# solution, project, or source file(s), create a semantic object model in memory, and resolve all symbolic references. The code object tree can then be inspected, searched, modified, and saved back to the original input files with controllable formatting. 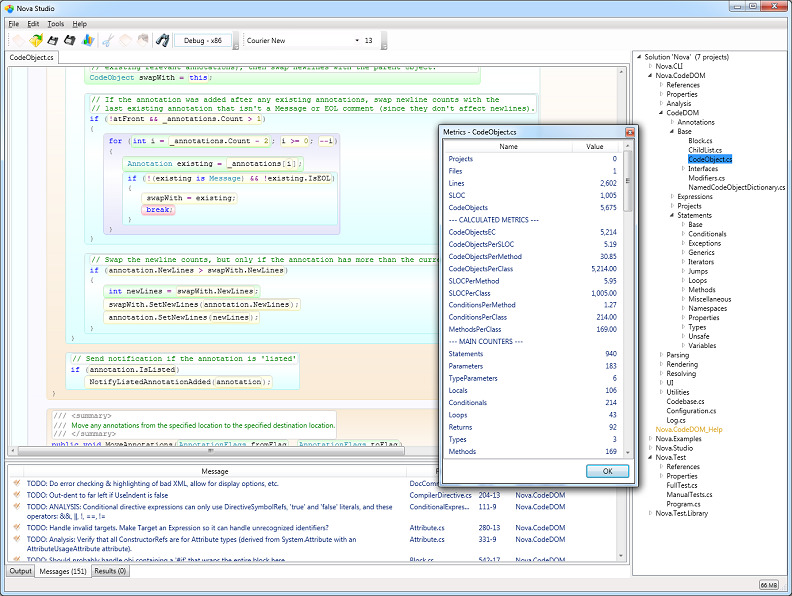 Also includes documentation, examples, WPF (IDE-like) and command-line testing tools. Fully compliant with ECMA-334 and ECMA-335 standards, and passes all Mono tests. Reasonably current CPU and 1GB or more of RAM.